Introducing our latest inductee into the TATB Hall of Fame . 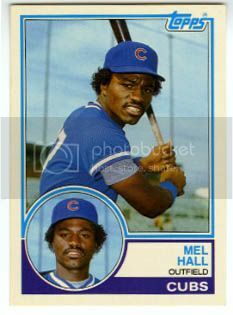 . .
Mel Hall batted .276 with 134 homers in 13 major-league seasons with the Cubs, Indians, Yankees (during their glorious early-'90s heyday) and Giants. While his stats are moderately impressive, they do not come close to capturing his everlasting baseball legacy. 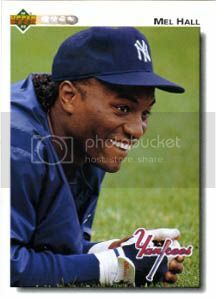 * Was warned by Yankees management that he'd be released if he didn't stop hassling sensitive young teammate Bernie Williams. He countered by demanding a trade. Because he might have been the Yankees' best hitter at the time, they kept him, prompting Williams to cry himself to sleep a major-league record 56 straight nights during the '91 season. 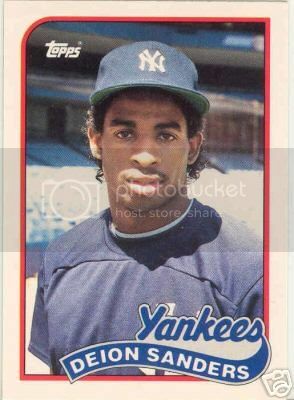 * Once derided a young Yankee outfielder's baseball instincts with this joke: "How do you score Bernie Williams from third base? Hit a triple." "Hall's showy habits in the Big Apple were earning him a reputation as one of the game's most flamboyant characters. He rented an upper-level apartment in Trump Tower and would often sally across town with two pet cougars in tow. He dated a 16-year-old, drove her to school in flashy cars and even attended her prom. All of this made quite an impression his teammates, especially the young two-sport star Deion Sanders, who later asked Hall to be the godfather of one of his children." * His No. 1 similarity comparison on baseball-reference.com happens to be one of Boston's most notable Irishmen. * On growing up in poverty, Part I: "We were so poor that we ate ice for supper." * On growing up in poverty, Part II: ""We spelled poor with only one 'o' because we ate the other one." * Once had 17 motorcycles repossessed. * Named his glove Lucille. Never explained why. * Reportedly brought a loaded gun into the Yankees' clubhouse. (Always a good policy as far as TATB is concerned, no matter what the intention.) No word if he ever actually fired it at anyone, though a certain traumatized Yankees outfielder might be able to answer that. 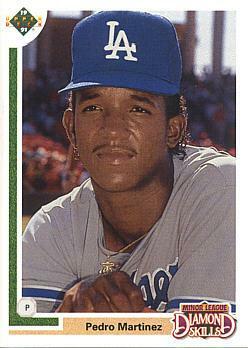 * Featured the second-slickest jheri curl of the early '90s, trailing only this super-cool cat. * When told by Yankees manager Buck Showalter to "quit being such a ---- hot dog all the damn time," replied with equal parts pride and defiance, "Skip, there ain't enough mustard in the world to cover me." 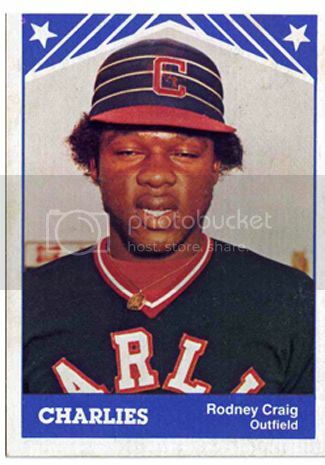 * A mainstay in the outfield for those lousy Cleveland ballclubs of the mid-'80s, he's indirectly responsible for TATB correspondent and fellow Hall of Famer Rodney "Buckethead" Craig being stranded in Triple A for the entire 1984 season. "Mel Hall? Hell, yeah, I remember that ------. He stole my job, hit on my kid sister, swiped my Cameo cassette, and fed my entire box of delicious S'mores-flavored Wheatabix to those two damn giant cats. Tell that ------ that if I ever see him again I'm going to pop a cap in his -----. Word up." * Could have worked as a stunt double for Michael Jackson's talent-free brother Jermaine . . . So there it is - the unrivaled resume of one Melvin Hall Jr. A real man of genius, a true Yankee despite what poor (sniffle!) little (sob!) Bernie (wahh!) Williams (please don't shoot me!) says . 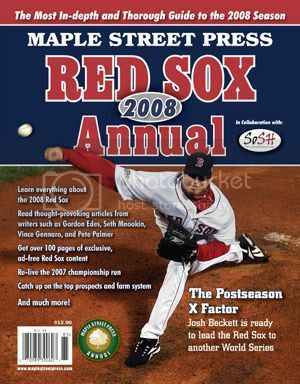 . . and now, a TATB Hall of Famer. The mustard-colored jacket awaits him at the induction ceremony - batting gloves peeking out of the pockets just so, of course. Now if we can just convince him to leave the firearms, the Bronx Lolitas, his pal Prime Time, and the matching set of cougars at home.